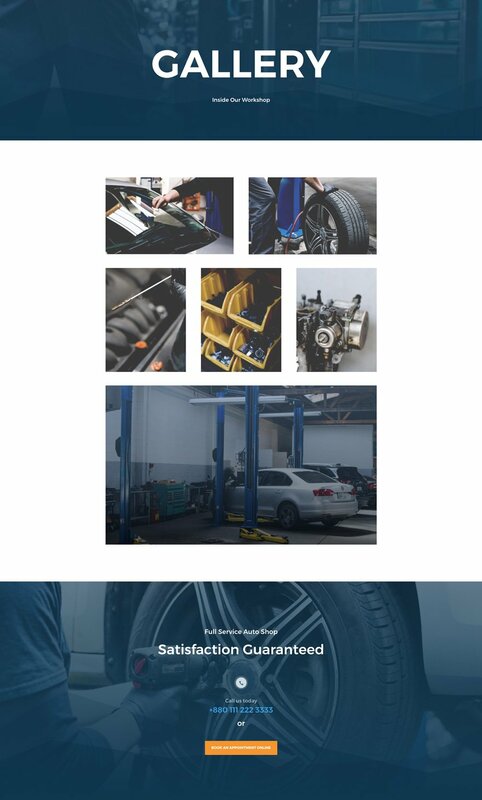 This week Kenny and his team have created a professional and effective Auto Repair Layout pack with 8 different layouts and a ton of high-quality images which you can use without restrictions. There’s both a service and services page included that’ll help your auto repair website focus on the quality and reliability of your services. To access your new layout, simply activate the Visual Builder when editing a page and look for the “Load From Library” icon in the page settings bar (it looks like a plus symbol). Click this icon to launch the Load From Library popup. Under the Premade Layouts tab, you can easily find the new layout by scrolling through the list of layout packs. Once you find the Auto Repair Layout Pack, click on it. You will see all the individual layouts included in the pack. Select the layout you want for to use and then click the “Use This Layout” button. We hope you enjoy this layout pack. And to help ensure that you do, we’ll be doing a live stream on our Facebook page this Tuesday at 3pm EST to walk through how to add vehicle parts search to the shop page. Very nice layout pack! usefull! Why is there no download button??? This is really terrific. Just start a page in DIVI, Load Layout from Library—And it’s THERE! Too cool. Because the layout is INCLUDED in Divi by default. You don’t need to download the layout, just the graphics pack if you need them. Finally, an authentic layout, which corresponds to the real agency life. Exactly. Next week’s law firm site will be good too. I now wish I had a garage client. When I seen the title, I thought you come up with some theme that fixed all my mistakes automatically! Most useful layout pack in a while! It’s nice of you guys to do this, but if only it were a bit more ambitious. Most of these layout packs are just graphical iterations of each other. What if the author/designers/developers, instead of spending 20 hours making something like this, spent 20 hours making a single section that’s not realistic for Divi users to spend 20 hours on for a client? How about a layered parallax header that has mouse interactive x,y ? How about a beautiful tabbed section that would be useful on every website? How about a killer footer users can add as a global section for their new client site? I too would much prefer to have sections available for download. I don’t like the blog posts (recent ones included) that show some very cool idea and then 20 pages of settings to get there. It would be great to download the section. The recent post on animating a section is a great example. Nice Layout and useful! Thanks again, Donjete Vuniqi! Great work. I’ll be re-purposing for a cycle mechanic, but it’ll transfer well. Any plans on a tutorial for appointment booking to compliment the theme? I certainly think that an auto repair WordPress blog template will be ideal for those hole in the wall Automotive Fix-It garages that look for a competitive Edge in they’re image online. I’m curious to know if any auto garages have ever used this WordPress theme before and what their honest review of it is. Love the title! Autox: For all your dirty VW emissions. I noticed that there is a slight issue on the services layout page in the 3rd section with the image hight which you may want to fix/adjust as it is currently smaller than the demo example. Could someone help me where can I find the download button? Or how I could trigger it? Thank you in advance. There is no download button anymore. All the new themes, including the above, are contained in the Divi library which comes with the Divi pack. Easiest thing to do is download the Divi theme from your members page and upload it to WordPress. Then when you go to load a new page from the Library, you will see the auto theme in pre-loaded themes. There is no download button, anymore. From within the Divi builder (an existing site you’re currently building or a new site) click on LOAD LAYOUT in the Divi Builder nav bar at the top of the page. The next page you’ll see is very similar to the page at (https://www.elegantthemes.com/layouts/). Now just click on a pack to load it into your page. I like that they have listened to the users, this design is very useful for agencies, congratulations! Awesome and very useful too 🙂 I love this. Nice, but these are starting to look rather generic. A bit disappointed with this design layout, not the best that we can expect from you. Nothing special about this layout. i try to down load this layout pages from divi builder in load layout section but it would not load. it take a really long time and still it would not load. 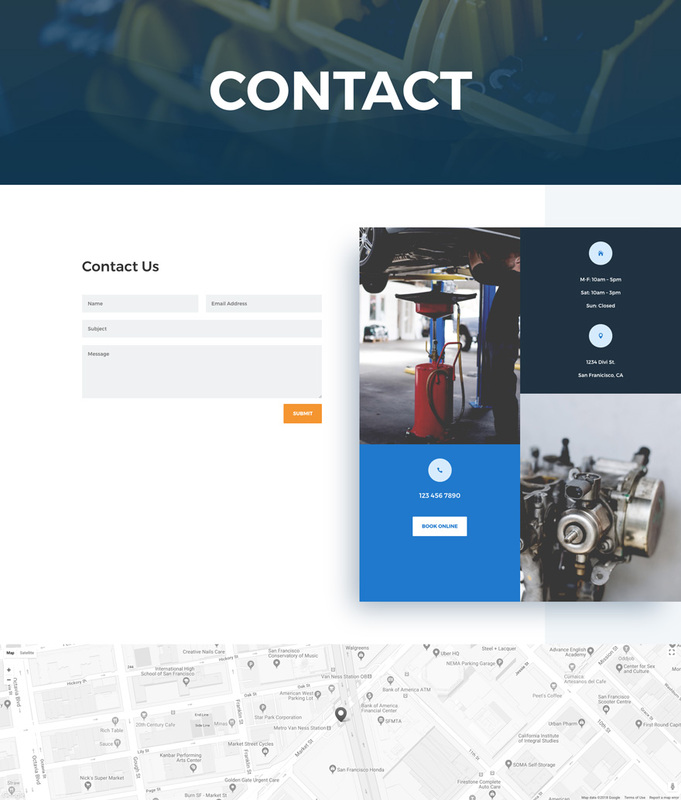 Can you make a schedule in page for this Auto Repair page can include using also the contact form to get information on what type of repair is needed.